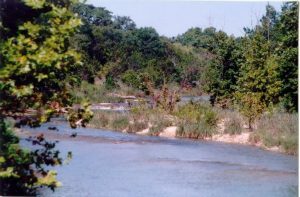 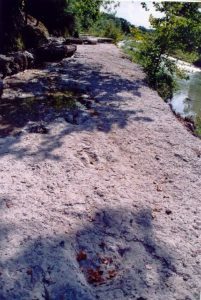 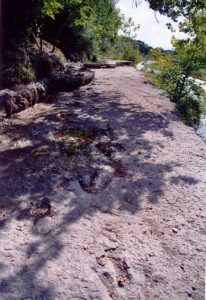 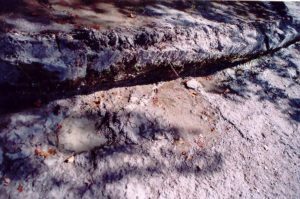 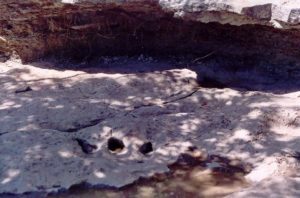 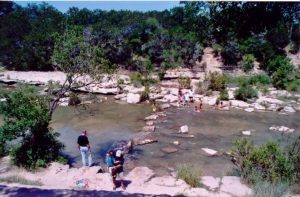 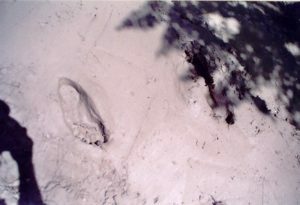 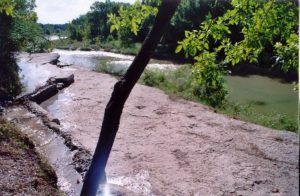 At the Dinosaur Valley State Park, there are tracks on the rock ledge that resemble human footprints in a series of prints. 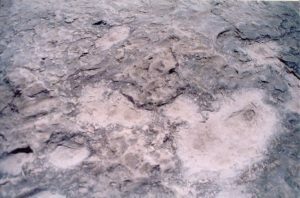 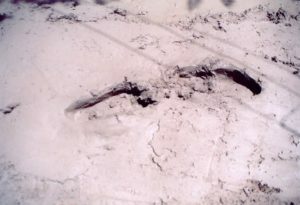 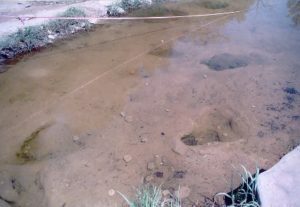 Nearby are dinosaur tracks. 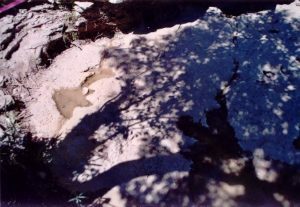 If you cross the stepping stones, the tracks resembling human tracks are near the ledge to the left. 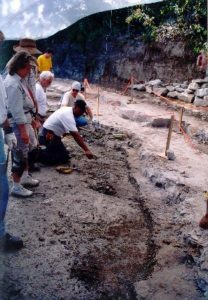 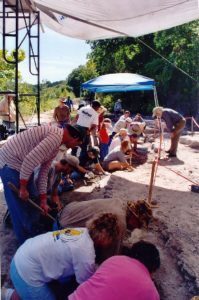 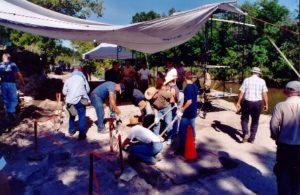 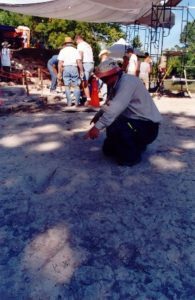 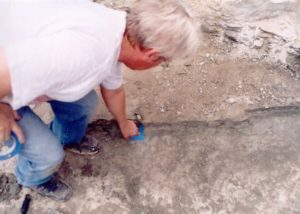 A total of 46 Acrocanthosaurus tracks were revealed by removing about a foot of overburden during the excavation. 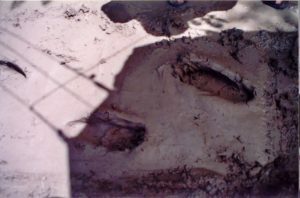 An experiment was performed to simulate what the tracks might look like when they were made. 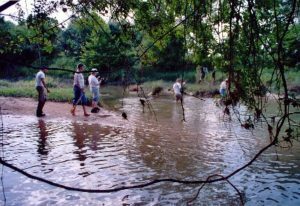 Trekking in the Paluxy River looking for tracks. 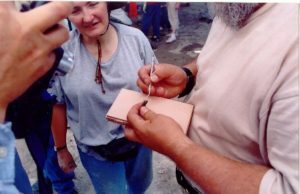 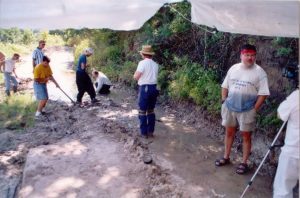 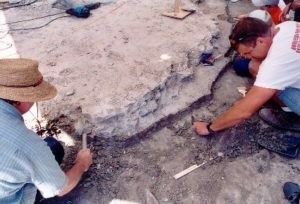 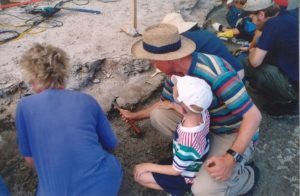 Looking for fossils during the excavation.